High Precision Quality. Surprisingly low cost. How do we stay so cost competitive? By keeping overheads low. Being centered in Rochester NY is one way but our real secret is simple: we don’t cut metal. Milling metal is a far more expensive process. 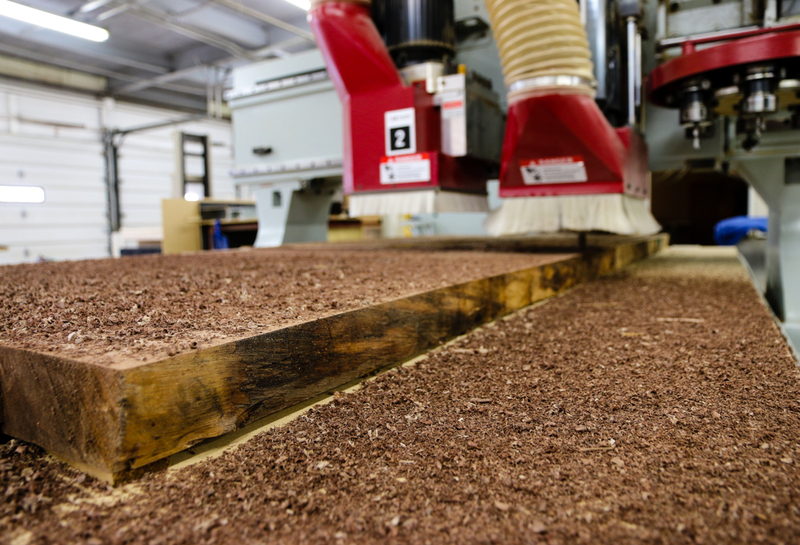 By focusing on wood, foam and plastic, we are able to pass our savings on to you. Why pay extra to a CNC shop who does metal fabrication when you don’t need to? We take pride in our craft. In fact, our sister company is a high end woodworking shop. All our geometry is derived in house from our 3D modeling software. Our CNC router and talented staff has the capability to program and machine a vast array of parts, from one-off pieces to high volume work. Our solid carbide tooling can cut and mill solid wood, plywood sheet-stock, MDF, plastic, foam and laminates with ease. No project is too large or small. “Doing business with Zeller has been a great experience, their team goes above and beyond to ensure you get a great quality product on time.